An all-new addition to the Kia model lineup, the 2017 Kia Niro Hybrid delivers ultra-efficient fuel-economy numbers and an athletic performance in an attractive compact hybrid crossover design. Attractive, athletic and efficient, the Kia Niro is tailor-made for hybrid car shoppers and promises to turn heads when you get behind the wheel. 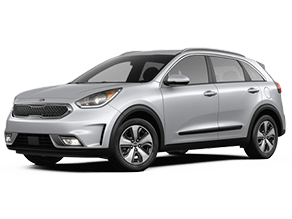 Built on a lightweight, high-strength steel platform that allows the Kia Niro to deliver crossover utility and hybrid fuel-economy, the 2017 Kia Niro is the total package. The athletic exterior of the 2017 Kia Niro Hybrid is headlined by the signature tiger nose grille and is complemented by a spacious, fully-loaded cabin. Available in five well-equipped trim levels that start at just $22,890 -- Niro FE, LX, EX, Touring and Touring Launch Limited Edition -- the Kia Niro can be tailored to fit your specifications at an affordable price. With room for five passengers and an impressive 19.4 cubic feet behind the second-row seats that can expand to 54.5 cubic feet with the 60/40 split-folding rear seats laid flat, the Kia Niro is engineered for family adventures. 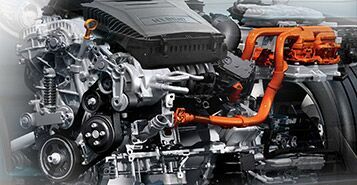 Under the hood, the 2017 Kia Niro Hybrid features a next-generation Atkinson Cycle 1.6-liter GDI four-cylinder engine that works in tandem with a high-torque electric motor to manufacture a fun-to-drive 139 horsepower and 195 pound-feet of torque. A responsive and efficient six-speed dual-clutch automatic transmission directs power to the front wheels of the Kia Niro and promises 52 mpg in the city and 49 mpg on the highway. Safety is a highlight of the Kia brand and is put in sharp relief when you get behind the wheel of the 2017 Kia Niro. Standard safety features include a four-wheel Antilock Brake System, a Brake Assist System, Electronic Stability Control, Hill-start Assist Control, a rearview camera with dynamic guidelines and more. Armed with available Blind Spot Detection, Lane Change Assist, Rear Cross Traffic Alert, a Forward Collision Warning System and more, the Kia Niro is an incredibly safe and family-friendly option. When you slide into the driver’s seat of the 2017 Kia Niro Hybrid, you will enjoy unrivaled entertainment and connectivity with a smorgasbord of innovative features at your disposal. 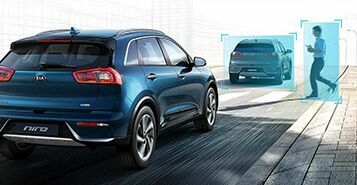 Even standard Kia Niro FE grades feature a Kia UVO eServices multimedia interface with a seven-inch touchscreen display and access to Apple CarPlay, Android Auto and Bluetooth connectivity. 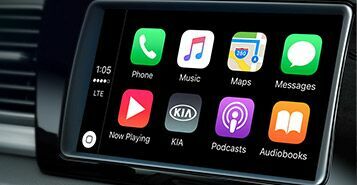 Upgrades include an available eight-inch touchscreen, navigation, satellite radio, a wireless charging system and a premium Harman Kardon sound system.